Another Feather To Priyanka Chopra's International Hat! Home BOLLYWOOD Another Feather To Priyanka Chopra’s International Hat! Another Feather To Priyanka Chopra’s International Hat! From Miss World to Bollywood and then Hollywood actor to now a globally recognized face, Priyanka Chopra has indeed come a long and successful way. She has donned many hats in the Indian cinema (as an actor and producer) and Hollywood (as a part of the successful television show ABC’s Quantico and Baywatch, a movie also starring Dwayne Johnson and Zac Efron). 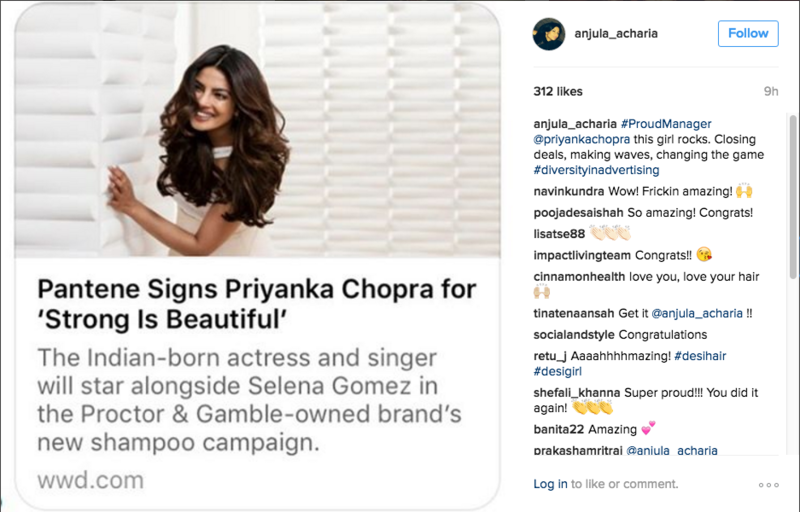 Adding as another feather to her hat is she has been named the very first Indian to become Pantene’s global brand ambassador. PeeCee joins the Pantene family alongside the likes of Selena Gomez, Ellie Goulding and Gisele Bündchen, and will be the face of Pantene’s new campaign celebrating the brand’s new range that promises to make hair thicker and stronger in two weeks. Recently, Priyanka returned to India after nearly 6 months and was received by a huge crowd of audience at the airport. She has already made her red carpet debut in the Indian awards season this year and looked absolutely stunning. She has also lined up meetings with Indian producers and directors to read and eventually sign up some projects in Bollywood. Let’s hope we see our PeeCee soon on our big screens!! Previous articleExclusive Bigg Boss 10: Housemates To Receive Unexpected Christmas Gifts! Next articleIs This Katrina Kaif’s Way To Get Back At Ex Ranbir Kapoor?